Gears are science in motion! 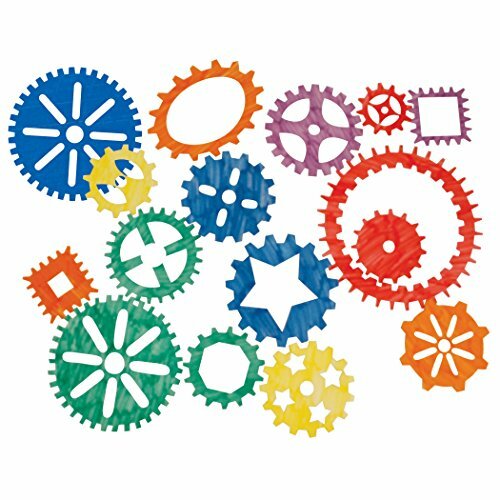 15 interlocking gear stencils represent round, square and oval gears allowing the artist (or engineer!) to fit them together to create a mechanical masterpiece. Understand human anatomy through art! 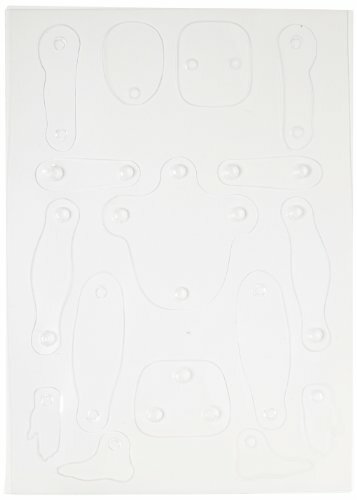 Our articulated stencil pivots at the neck, waist, knees and ankles. Trace the stencil with pencil or markers . The lightweight material is see-through and easy to clean. The fully assembled stencil is 13½" (34 cm) tall. The proportions allow you to create DaVinci's Virtuvian Man! Includes idea guide. Giant, durable, dry erase letters are great for teaching elementary handwriting and reinforcing letter recognition. These bright colored letters were created with standard handwriting learning as the foundation. 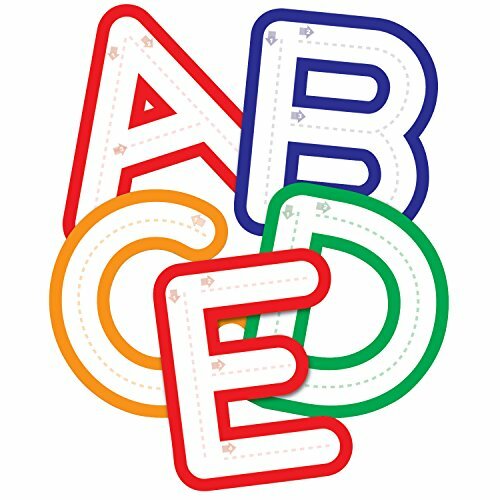 Each letter has lightly colored lines and numbered arrows that show a child where to begin and end. When children have traced their letter, just erase them and start over. 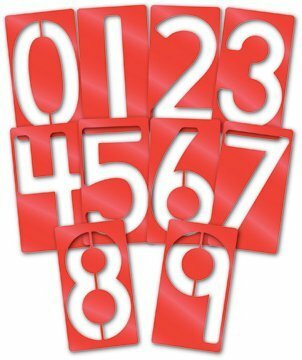 Roylco big number Stencil to teach basic to advanced number recognition to children, thus making learning numbers fun. 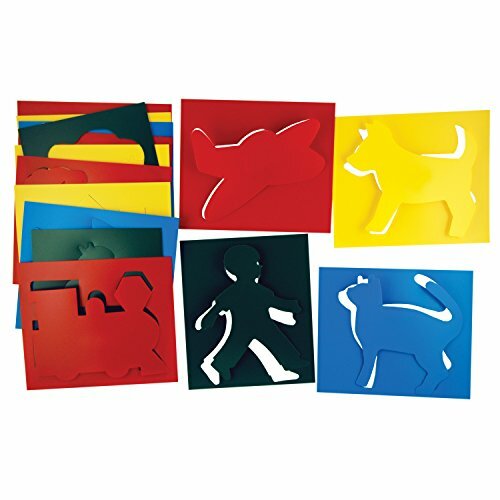 Durable stencil is made from heavy duty plastic for years of use. It contains 0 - 9 numbers, each measuring 5 in x 9 in and is sold as 10 per set. Great for paint, crayons, chalk. Simple shapes of familiar objects perfect for young children. 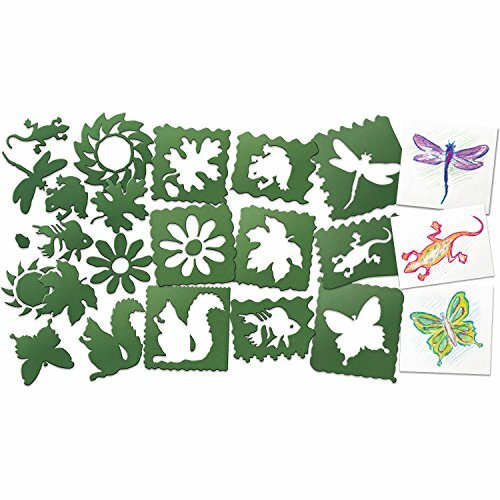 A heavy duty set of stencils featuring simply designed objects and animals! easy-to-clean plastic for years of rough use. Just the right size for young hands. 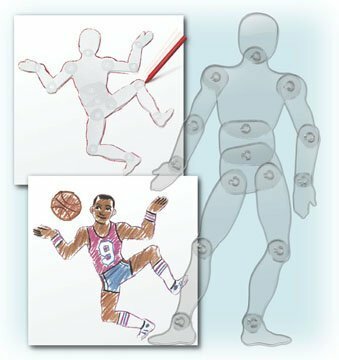 Understand human anatomy through art! Our articulated stencil pivots at the neck, waist, knees and ankles. Recreate almost any pose! Trace the stencil with pencil or markers. The lightweight material is see-through and easy to clean. The fully assembled stencil is 13 1/2 inches tall. The proportions allow you to create DaVinci s Virtuvian Man! Includes idea guide. Category: Drawing / Drawing Tools - Accessories. Sold as a Single Unit. Short name: Stencils Roylco Poseable People Stencils. Grade levels: Preschool-Early Childhood. Roylco Brand of Products. 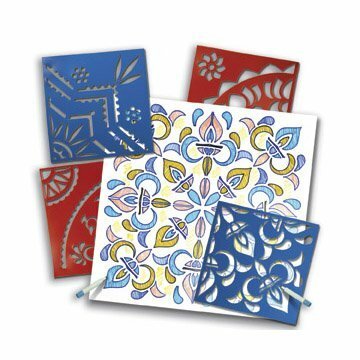 Roylco Rangoli mega stencil contains complex stencil designs in the tradition of a folk art from India in which patterns are created on the floor in living rooms or courtyards using materials such as colored rice, dry flour, colored sand or flower petals. 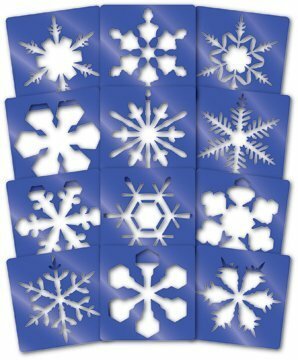 Our extra large 11" x 11" stencils are based on classic designs and are ideal for large projects.